What Major Brands Understand about Marketing, and Guess What, It Isn’t ROI. M studio is at Miami Art Basel engaging with artists, galleries, and enthusiasts. Throughout our first day, we discovered more than just art; we discovered the art of brand experience. Not only is Miami Art Basel a mecca for people looking to experience art in its various forms, but it is a top destination for brands looking to position themselves within the art world. When first entering Scope Miami Beach, we encountered an urban VH1 lounge and cafe promoting a new hip-hop themed movie set to open in January. 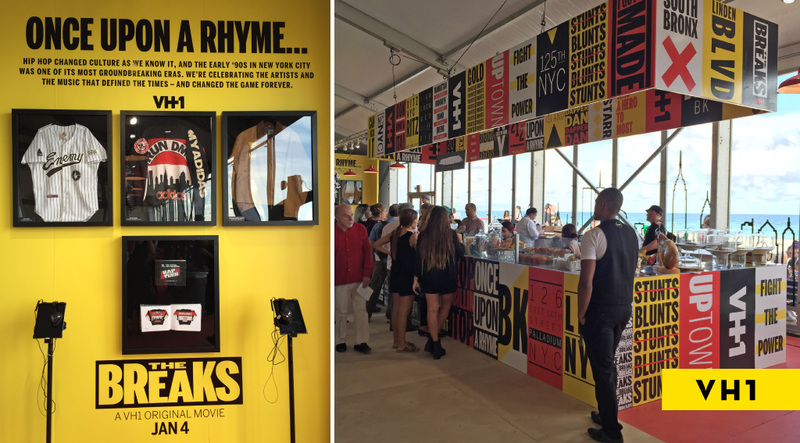 With the Atlantic as its backdrop, the cafe becomes an experiential billboard for the film and the television channel, inviting audiences to interact with the brand via food, drinks, and live music. Scope provides an ideal platform to promote the film to target markets. As we weaved our way through the art fair, we discovered another company-run on-site activation, “Paper View.” Created by the online paper goods printer, MOO, “Paper View” aims to expand the way people think of paper as a medium by showcasing artists who embrace the inherent power of the seemingly commonplace two dimensional medium. This year, MOO partnered with artist Aerosyn-Lex Mestrovic, whose art focuses on connections between the digital and tangible worlds. 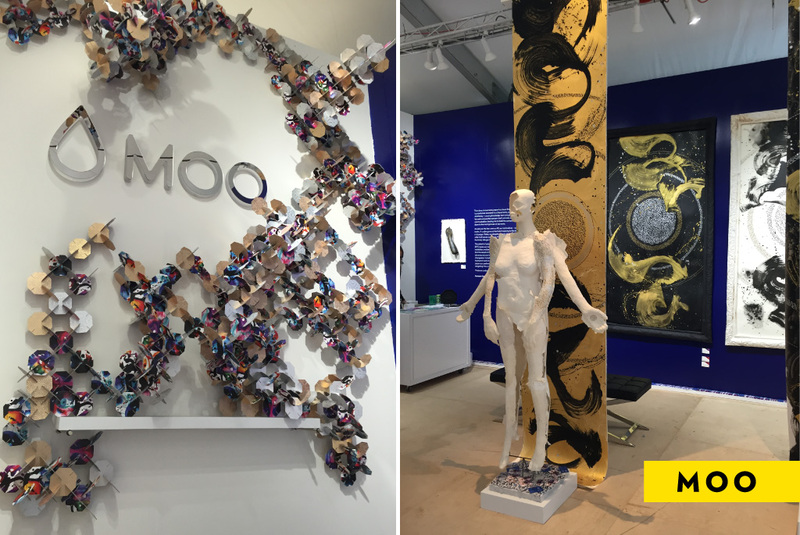 Through their collaboration with Scope and Mestrovic, MOO successfully links their brand to the fine art community while bridging the gap between handcrafted, paper-based works and digital technology. MOO clearly understands the importance of associating their brand with creativity and self expression while staying in tune with the voice of their audience, which keeps their product top of mind with potential consumers. 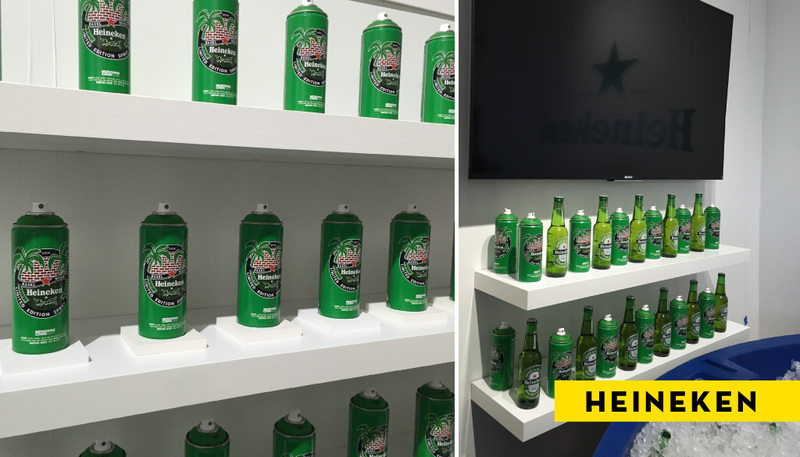 Our final first-day engagement with brands affecting space and consumers was with Heineken. While Heineken has long been a staple at Scope with the Heineken House, the company is taking this activation one step further in 2015 with their mobile art lab. Not only does the company have gallery space and branded work on-site at Scope, but they are traveling throughout the heart of Miami’s mural district, Wynwood, as well as select areas of Miami Beach, ensuring artists creating outdoor murals are equipped with the necessary supplies. In addition, the art lab acts as a mobile mural with rotating canvases and artists creating work live. VH1, MOO, and Heineken are using integrated marketing concepts to expand the reach of their brands and to garner new consumers and followers. They achieve this by developing strong concepts, well-executed strategies, and fully realized activations that will live well beyond Scope or Miami Art Basel. Whether a brand gives out beer, business cards, or provides a place to hang out and listen to live music, the takeaway is that the brand is responsible for creating memorable experiences. Those experiences, which can inspire new ideas or simply a few smiles, are shared between friends and colleagues as well as through social media posts, press coverage, and blogs. So, what is the return on investment (ROI)? Every brand’s goal is different, but a metric for consumer experience at this level should not be the sole determining factor for companies looking to engage with new markets and industries. You cannot put a number on a successful consumer experience, as a brand can benefit from those returns for decades to come. Experiences are not metrics, and ROI does not account for happiness and chatter. While strategy and key performance indicators are important elements to an overall campaign, Miami Art Basel shows us how the immeasurable components can sometimes reap the strongest returns.